The most resent Trachycarpus discovery is surely the most interesting one yet. Re-named as Trachycarpus ukhrulensis from Trachycarpus sp. Manipur. It is possibly the same palm that Frank Kingdon Ward wrote about in his 1952 book Plant Hunter in Manipur. 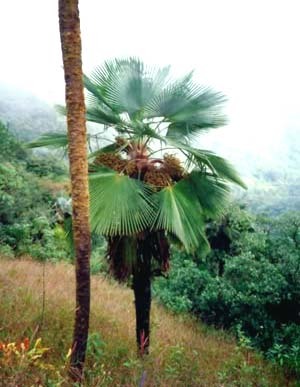 The palm was rediscovered along the Himalayan ranges of Burma in Manipur. Growing to the height of 50ft tall with a clean hairless trunk 12 inches in diameter. Producing 24-28 3 foot palmate leaves on 2 foot long thorny petioles. Each leaf having 68-71 segments. The underside of the leaf is a stunning powdery white and dark green above. Mature fruits ripen to orange/yellow. 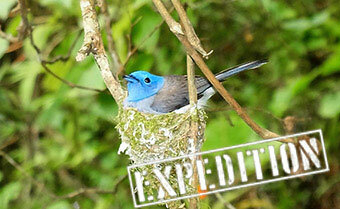 There is also known distribution in Nagaland, and almost certainly across the border in Myanmar.